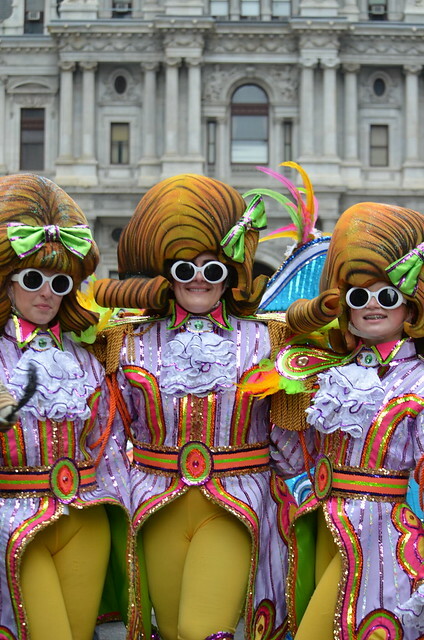 Yesterday I visited the Mummers Parade and took a few photos. Here are some of my favorites. 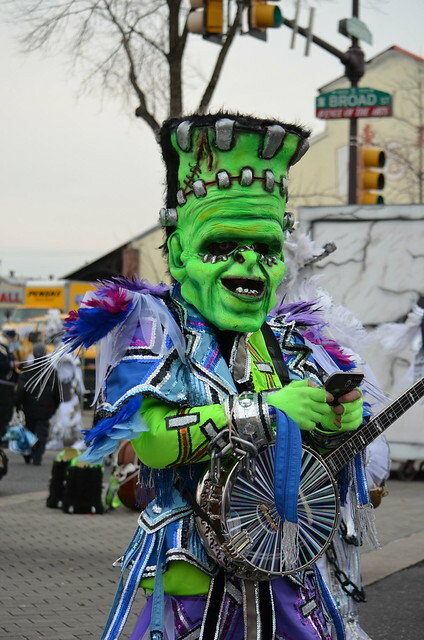 I caught this guy texting between performances. I sort of snuck up on him. 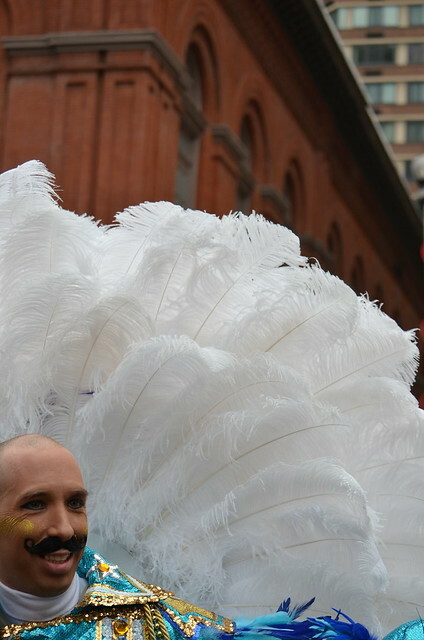 Quite frankly, it’s easy to be sneaky when you are not wearing sequins in this particular situation. I like this one because city hall is in the background. I took this photo from across the street. These kids were so excited for this parade, hanging on the fence watching for the next group to come by. 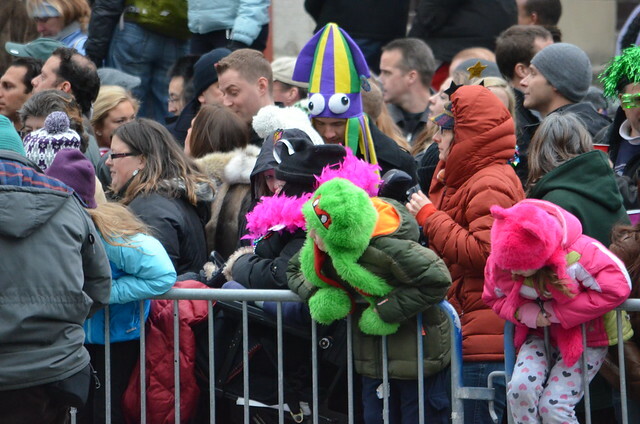 Also, they are wearing fantastic hats. 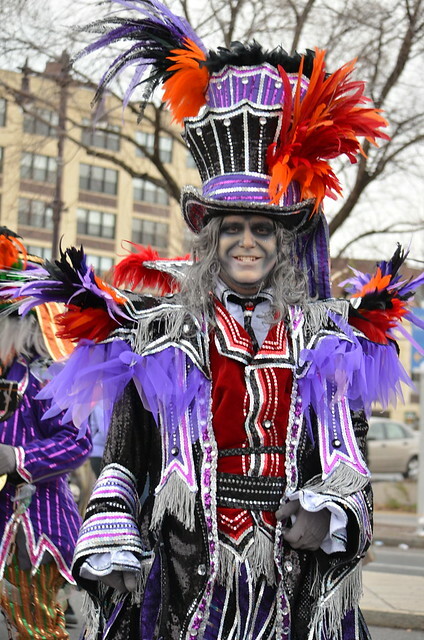 Apparently I have some Mummers visiting my page looking for photos of themselves. 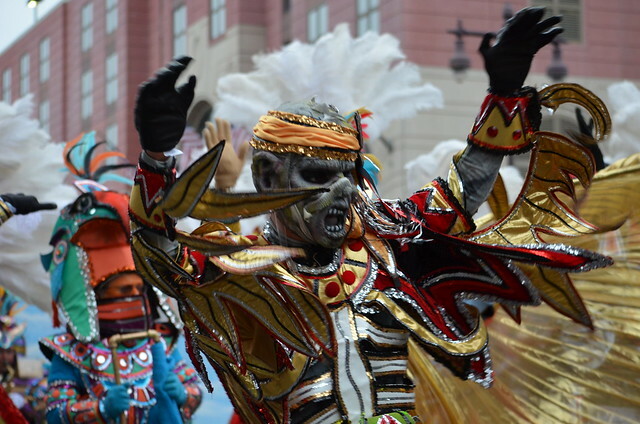 Hello, Mummers! I have a lot more photos in a gallery where you can download them (or buy prints if you want): CLICK HERE FOR MORE PHOTOS. If you recognize your band, let me know and I’ll label it correctly in the photo on this post. Thanks!